Veteran journalist and former president of Editors’ Guild of India, D.N. Bezbaruah advocated for establishment of a Natural History Museum and Institute in the region. Bezbaruah said this while delivering the inaugural speech at theNorth East Natural History Conclave organised at the Assam Administrative Staff College in Guwahati on Wednesday. The conclave was organised by the North East Watch in collaboration with the Transformation and Development department of Assam government. In the inaugural session, the chairman of North East Watch, B.K. Saikia welcomed all the dignitaries and participants coming from different states in his introductory speech. In his speech, Bezbaruah stressed that it is high time to think things in Northeast India in a much bigger way like the manner in which North East Natural History initiative has been envisioned. The natural history of Northeast India needs much more attention in the years to come for sustainable development, he said. The concept note of the ‘North East Natural History Institute and Eco-museum Heritage’ was presented by Dr. Manjil Hazarika on behalf of North East Watch. Dr. B. Venugopal, former director, National Museum of Natural History, Delhi; Prof. Sarit Kumar Chaudhuri, director, Indira Gandhi Rashtriya Manav Sangrahalaya, Bhopal; Dr. R.K. Ranjan Singh, environmentalist, Manipur; Madan Prasad Bezbaruah, a retired IAS officer, shared their views on the establishment of a natural history institute and museum in the region, informed B.K. Saikia, chairperson, North East Watch, in a press communique. On the occasion, a souvenir was released by Prof. Kulendu Pathak, former vice chancellor of Dibrugarh University. In the first technical session, chaired by Dr. B.K. Dutta, member, North Eastern Council and moderated by Prof. Chandan Mahanta of Indian Institute of Technology, Guwahati, the invited speakers Dr. B. Venugopal, Dr. R.K. Ranjan Singh, Prof. Sarit Kumar Chaudhuri, and Prof. V.L. Dharurkar, vice chancellor of Tripura University presented their papers. The second technical session for open discussion was chaired by Madan Prasad Bezbaruah, permanent representative, UN-World Tourism Organisation and moderated by Dr. Sanjeeb Kakoty, Indian Institute of Management, Shillong. In the open discussion, Prof. Mridul Hazarika, vice chancellor of Gauhati University and several eminent personalities, invited guests and students shared their views on the establishment of the institute. 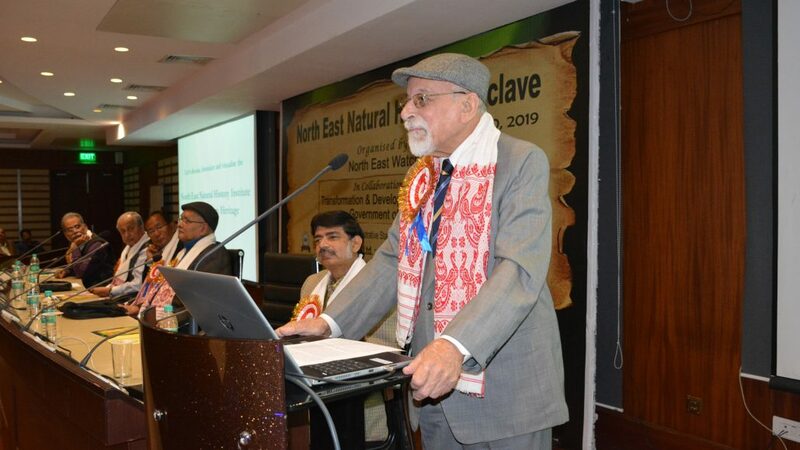 Madan Prasad Bezbaruah in his speech endorsed the idea of establishing the North East Natural History Institute. The conclave was well attended by over 150 participants comprising natural scientists, concerned citizens and faculty members and students of from various education institutions including university and colleges.